Researchers from the University of Sao Paulo in Brazil and Flinders University, led by Matthew Flinders Distinguished Professor of Ophthalmology Justine Smith, analysed cases at four medical centres in Brazil over two and a half years. The study identified 127 patients with 87 of these suffering inflammations in both eyes. Exams revealed that some patients had suffered structural and functional complications inside the eye, such as retinal detachment. Professor Smith, from Flinders University’s College of Medicine and Public Health, says the disease can lead to blindness if not treated in a timely manner. Professor Smith says the findings in Brazil are a reflection of the re-emergence of this infectious disease around the world. “When ocular syphilis goes untreated or is treated late, the damage done to internal components inside the eye may be permanent,” says Professor Smith. The most common symptom is blurry vision but because many signs of ocular syphilis can mimic a variety of other illnesses, the diagnosis can often be overlooked. Ocular syphilis is a sexually transmitted infection (STI) caused by the bacteria Treponema pallidum. Co-author Professor João Marcello Furtado, from the University of Sao Paulo, says general practitioners should refer eye complaints to ophthalmologists whenever they diagnose a case of syphilis. 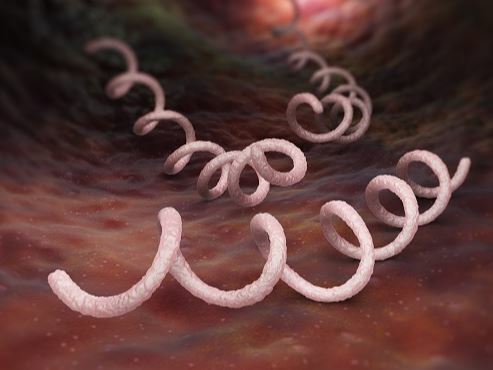 “There is no longer a stigma associated with syphilis. Anyone can be exposed and infected, so early detection is increasingly important,” he says. The majority of cases identified around the world have been attributed to high-risk sexual practices, an increase in global travel, and the effects of anti-HIV medications on the immune system. “The 1990s and 2000s indicated that ocular syphilis was a rare diagnosis, accounting for less than 2 per cent of all cases of uveitis [inflammation inside the eye],” Professor Furtado says. “Our most important observation is the role of testing in making a timely diagnosis of ocular syphilis, which should limit the risk of vision loss,” Professor Smith says. “Patients didn’t present to clinics for treatment until they had a problem for some months, but it is not completely the fault of the patient. Clinical Manifestations and Ophthalmic Outcomes of Ocular Syphilis at a Time of Re-Emergence of the Systemic Infection, by João M. Furtado, Tiago E. Arantes, Heloisa Nascimento, Daniel V. Vasconcelos-Santos, Natalia Nogueira, Rafael de Pinho Queiroz, Luana P. Brandão, Thaís Bastos, Ricardo Martinelli, Rodrigo C. Santana, Cristina Muccioli, Rubens Belfort Jr and Justine R. Smith has been published in Nature journal Scientific Reports.